If you follow Redmond Pie, you’ll know that we regularly post updates to Android Market in the form of APK files you can install on your own. Google later pushes the update to devices automatically and despite heavy testing, it may just happen that your device doesn’t like the latest update. Stability issues, regular force-closes etc. etc. Keeping that in mind, some users may want to disable automatic updating of Android Market on their device, and we’ve discovered a method that lets you do exactly that! Check out the step-by-step guide after the jump. On my Samsung Galaxy S2, the latest market app (3.4.4) randomly freezes my entire phone, causing me to have to hold the power button down to reboot. Happens nearly every time I browse for apps in that version. My goal: prevent the automatic updates. Before you continue, please ensure that your Android device is rooted and that you have BusyBox [Market Link] installed. Step 1: Navigate to Settings > Applications > Manage Applications > Market and tap on uninstall updates to go back to the version of Android Market that came built-in with your device. Step 2: Download, install and launch a terminal app such as Android Terminal Emulator [Market Link]. You need this to run the commands in Step 4 and 5 which require privileged access. According to the developer behind this, Steps 4 and 5 place a “bogus” APK file where Android tries installing the newest version of Android. The chattr command disallows Android to update the file. The developer has also mentioned that you can stick to current version of Android Market by going skipping Steps 1 and 4, but this hasn’t been tested. 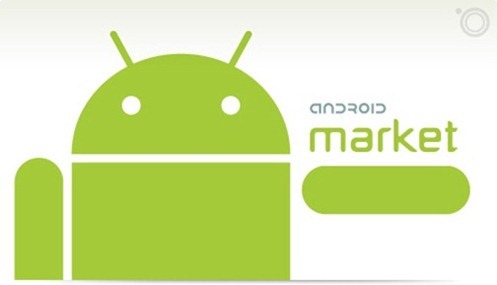 We would like to know why you prefer sticking to an older (in this case, oldest) version of Android Market. We have had stability issues at times too, but they get fixed either by clearing data from Manage Applications or by installing a slightly older version. Let us know what you think about this issue in the comments section over on our Facebook and Google+ page. For queries, please visit the official thread over on XDA-Developers forum. New version is horrible ,, it needs alot of space to install APPs and it looks so old not modern. Not to mention the lack of a working back button.